Yam (Manav Gohil) and Chitragupt (Atul Parchure) will be seen preparing for their trip to Mumbai to nab a thief named Chaman (Alekh Singhal) and to clear the air about their involvement in a robbery. Chaman had stolen money from his father's shop and the police are also on a lookout for him. 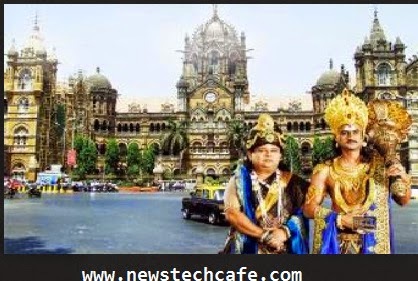 Yamraj and Chitragupt get a culture shock when they land in Mumbai. Not only do they find it difficult to understand Marathi, but are also perplexed with the lifestyle there. They wonder why people are always in a hurry and why the dabbawallas are carrying so many tiffin boxes. Their first experience of the city turns out to be a mind-boggling one. Says Manav, "I was so excited to shoot the Mumbai track. Atulji and I will be seen travelling to the city and exploring it together. I had a lot of fun going around the city in my Yamraj attire."